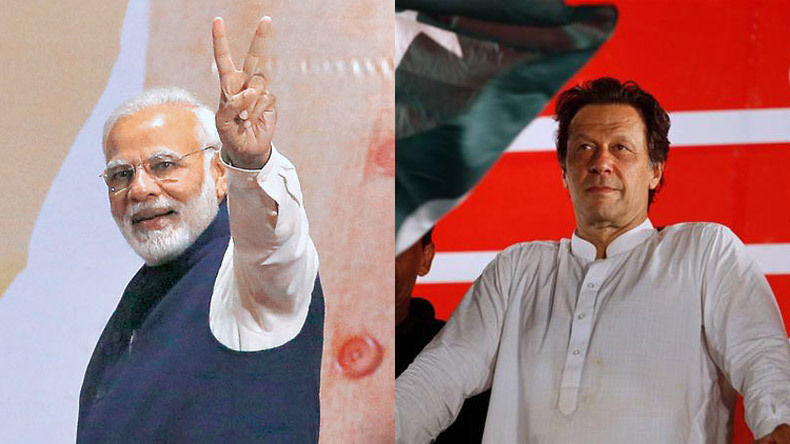 Pakistan Tehreek-e-Insaf (PTI) leader Imran Khan received a phone call from Prime Minister Narendra Modi who congratulated him on his victory in Pakistan general elections 2018. PM Modi talked about peace between the two countries with Khan will take the oath as new Pakistan PM on August 11. Prime Minister Narendra Modi on Monday congratulated Pakistan Tehreek-e-Insaf (PTI) founder and chief Imran Khan for his resounding victory in recently-held Pakistan general elections 2018. While talking to the former cricketer over a phone call, PM Modi reiterated his vision of peace between the two countries and told Imran Khan that he hopes democracy will take deeper roots in Pakistan under his leadership. Imran Khan will take oath as the new Prime Minister of Pakistan on August 11, Saturday. Earlier on July 27 while announcing his victory in Pakistan general elections 2018, Imran Khan himself stressed that he aims to develop stronger ties with India. He also stressed that resolving the long-standing Kashmir dispute will be one of his key agendas once he is elected as the Pakistan Prime Minister. Imran Khan’s PTI emerged as the single largest party in Pakistan elections that were held on July 25. Out of the contested 272 National Assembly seats, PTI secured an overwhelming 116 seats. On the other hand, the previous election victors Pakistan Muslim League (N) performed poorly in the recent elections and could only garner 64 seats. PMLN’s bitter defeat came due to primarily two reasons: Former Pakistan PM and PMLN chief Nawaz Sharif ouster from power for his involvement in corruption cases and Imran Khan’s sky-rocketing popularity among masses. Bilawal Bhutto-led Pakistan Peoples Party (PPP) finished the electoral battle at the third spot with 43 seats while Muttahida Majlis-e-Amal (MMA) won 12 seats and Muttahida Qaumi Movement (MQM) secured 6 seats.